Amy Mood joined our Mansfield Kitchen Views design team during the spring of 2008. 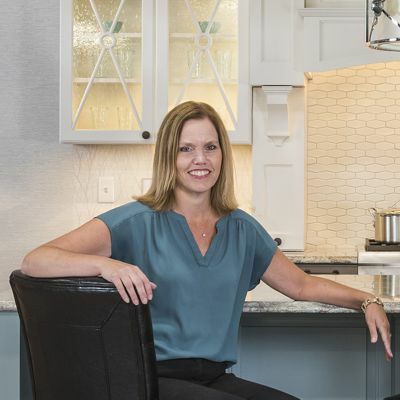 Her experience in the kitchen and bath industry reaches nearly two decades. Keep in mind that Amy has of course worked on many more projects than the sampling shown here. She'd be happy to tell you more when you meet with her in person. Watch Lori O'Driscoll's video testimonial, from the True Story – Room to Grow. “Thank you for this amazing kitchen. It is the centerpiece of our house and so beautiful. Check out how we handled the countertops for the island...So unique and no seam!! She was helpful during the selection of the cabinets and countertops. And we had been to another place in Plymouth prior that was just horrendous. It was a breath of fresh air to work with Amy. She was helpful and friendly all the time. She responded to all calls and emails promptly and understood the stress we were going through with this project. “I knew the look I wanted to create and Amy came up with ideas that I never even thought of. She reworked the plans numerous times until I was satisfied with the design and then went beyond my expectations. 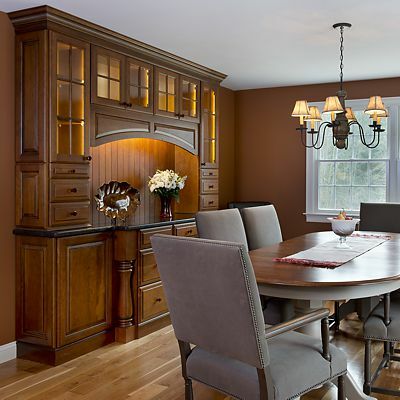 Today’s kitchen resembles a living room, so add the look of custom furniture when remodeling by incorporating a storage pantry or hutch into your design with its own unique door style and finish. Add furniture legs or a decorative base moulding with matching end panels. Choose hardware like jewelry, to complete the look. Find a designer that you are comfortable with. 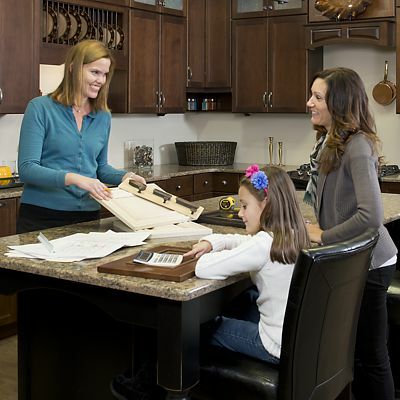 For most people a kitchen project is not something that they’ll be doing again any time soon, so be sure that you are working with someone that’s really going to listen to your wants and needs and be able to advise you on the many options available in today’s market. The last thing you’ll want when you’re done is to look back and wish that you had done something differently or known about another product option that may have suited you better.